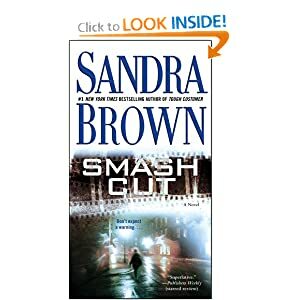 Sandra Brown is not an author I read regularly. However, every once in a while I find something she writes that grabs me and hold my attention all the way through. Smash Cut is one of those books. Paul Wheeler is wealthy, smart and , some would say, too old for the savvy, sophisticated and young art dealer, Julie Rutledge. When Wheeler is murdered, the DA looks closest at Julie as the person who did the deed. Derek Mitchell is the hated attorney she hires and he sets out to protect his beautiful new client from the zelots at the DA’s office who seem so focused on the easy conviction that they overlook other possibilities. On a scale of 1 to 5, I rate Smash Cut a 4. It’s a good read and I don’t think anyone needs to be concerned about getting bored.